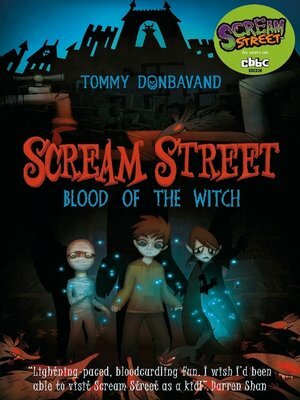 Luke is back and on the hunt for the second relic in this spooktacular next instalment in the Scream Street series. In Scream Street, discarded blood from cuts, grazes and nosebleeds is filtered out of the sewerage system and channelled to the vampire residents via taps in their kitchens. Urgh! In an underhand attempt to force Luke to return Samuel Skipstone's powerful Tales of Scream Street, Sir Otto Sneer cuts off the blood supply to the house of Luke's best friend, Resus Negative. Desperate for blood, Alston Negative, Resus's father, enrages a group of sewer rats, inadvertently creating a swarm of vampire rodents which rise up out of the sewers to attack the residents of the street. Luke, Resus and Cleo must save Scream Street from the rats while searching for the second of the founding fathers' relics, a vial of witch's blood – and without being turned into vampires themselves.